Two iconic New Zealanders have been inducted to the Hi-Tech Hall of Fame at the annual Hi-Tech Awards Gala Dinner in Auckland on 20 May. 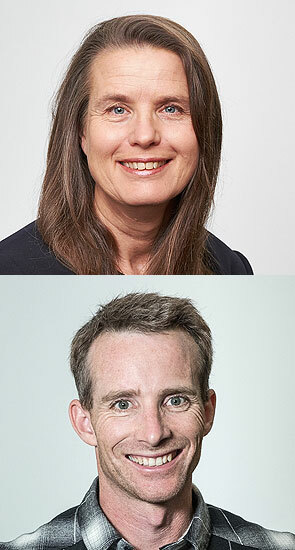 Sysdoc founder Katherine Corich and Trade Me founder Sam Morgan have been awarded the Tait Communications Flying Kiwi Award and join a line-up of illustrious Kiwis who have taken on the world in the high-tech industries. The Tait Communications Flying Kiwi Award recognises excellence in the field but also those who give back to the industry to help others follow in their footsteps. Katherine Corich is not only founder of the high-tech and service company, Sysdoc. Despite the demands of her business she tirelessly shares her knowledge with others, supporting other New Zealanders to achieve global success. Sysdoc has delivered business change programmes and technology solutions for companies like Jaguar Land Rover, McLaren, Chevron Oil, Shell Oil, British Aerospace, IBM, National Australia Bank and consistently delivers projects that make significant and sustainable differences globally. Since founding Trade Me in 1999, at the age of 23, Sam Morgan has gone on to be a philanthropist, investor and mentor. He is founder of Jasmine Social Investments, which is focused internationally on addressing the basic needs of the world's poorest people - health, education, livelihoods - and is helping to fund the world's best social entrepreneurs to alleviate poverty in the developing world. The Flying Kiwi Award is sponsored by Tait Communications, the Christchurch-based global critical communications company, and CEO Garry Diack was on hand to congratulate the winners at the Gala Dinner. Tait's founder, Sir Angus Tait, was the first recipient of the award and the first member of the Hi-Tech Hall of Fame in 2003. Mr Diack said: "The Flying Kiwi award is about being an ambassador for New Zealand, not only by demonstrating excellence in innovation and business prowess, but by showing determination, generosity and humility. "For our country to continue to thrive on a global stage we have to do more than deliver a great product. Our success relies on global relationships, where New Zealanders can work alongside partners, clients and customers to make the world a safer and more sustainable place. "Tait is very proud to sponsor this award and to this year acknowledge two more New Zealanders who live and work by the same values on which Sir Angus founded our company."